At the Benovsky Elementary School (in Bratislava), besides the traditional Children’s day celebrations, the 7th grade students who have participated in the Roots & Shoots program, presented their first publicly beneficial projects. 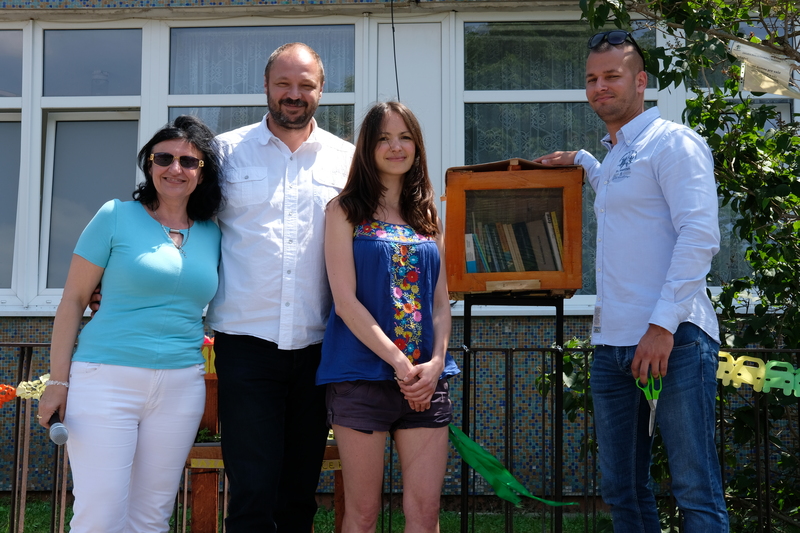 They have unveiled the Book box and Herbs Box in the presence of the Mayor RNDr. Martina Zatovic, his deputy Mgr. Lubos Krajcir, the leadership of the school and the parents council. The Book box is for the general public to share books and magazines or to exchange them for the enjoyment of others. The pupils also organized a flea market where they sold their toys and other items. As part of a community mini-project that the pupils organised themselves, an educational walkway near the school will be built by the end of the year.